A 12-year-old boy from Cornwall has asked Prince Charles to intervene in a dispute over a national schools survey. Local councils were asked by the Department for Education to identify ethnic groups as part of the survey. The aim was to monitor the educational progress of pupils. But Joss Trathen, from Redruth, was upset when pupils were told they could not describe themselves as Cornish. Joss pointed out in his letter - written in Cornish - that Prince Charles, the Duke of Cornwall, had in the past said there was an important responsibility for preserving the Cornish way of looking at life. Do you want an independent Cornwall? 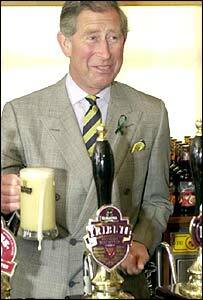 He also quoted Prince Charles as wanting the Cornish language as well as its culture and identity to be safeguarded. Joss said he hoped the prince would help all Cornish children to be allowed to be recognised as Cornish. He said: "There was space to put down gypsy or Irish traveller, so why not Cornish?" His father Andy, said: "The education authority in one London borough had more than 85 ethnic categories on their form. "But Cornwall chose not to include Cornish. "Cornwall County Council fought long and hard to get Cornish recognised on the last census, so there is no justification for this." The county council, however, said extra information on the survey form would have required additional monitoring which would have been a waste of public money.